Following the official launch of their two new Honeycomb tablets, Sony has now announced a new eReader for those who like simpler things in life. The new Reader Wi-Fi (PRS-Ti) is claimed to be the lightest 6-inch eReader in the world with a weight of just 168g, which coupled with the 8.9mm thickness would make it very easy to hold in your hands. The Reader Wi-Fi has a multi-touch touchscreen, underneath which lies a 600 x 800 resolution, 16-level gray scale E Ink Pearl electronic paper display. The Reader Wi-Fi has 2GB of internal memory, which can be expanded up to 32GB usig microSD card. 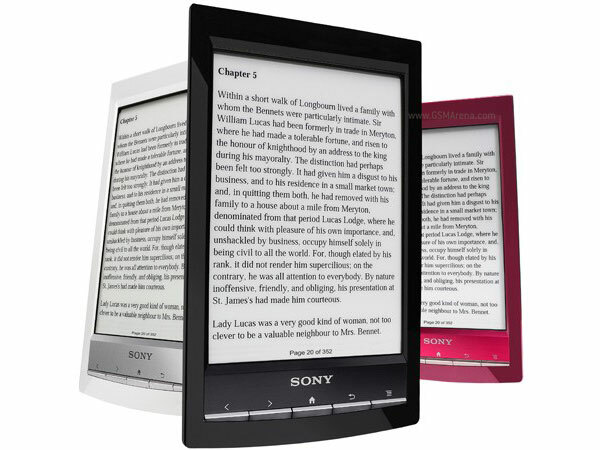 The 802.11n Wi-Fi connectivity lets you purchase eBooks from the Reader Store or borrow them wirelessly over public libraries in the US, UK and Canada. You can also download eBooks from other sources using the built-in browser. The Reader Wi-Fi supports EPUB along with PDF and TXT files. The battery life of the Reader Wi-Fi is rated at over a month with Wi-Fi disabled and three weeks with Wi-Fi. Engadget has also discovered that this eReader runs Android underneath, something that Sony fails to mention in their press release. This means that there is a possibility of rooting the device and using it as an Android tablet. The lack of a color display means there are not a lot of reasons why you’d want to do this, though. The Reader Wi-Fi will be sold in the US and Europe starting October for around $149. It will be available in three colors, black, white and red.